We always try for a living tree. They are not always easy to find. We have to go to a small, local nursery and tend to pay more for a tree smaller and more modest than the average cut one. But, it makes up for it in the knowing that we have a tree in our home that is ALIVE, breathing, caring for us as we care for it. And then ends up planted on our property to continue on it’s life. We have always striven for this. However, when we moved into the barn of “barnraised”, we suddenly found ourselves living in a home barn that didn’t belong to us. And, I don’t think it would be quite the same sentiment to return back to the house that we own and now have renter’s leasing to…knock, knock, can we plant our Christmas tree? So this tradition took a hiatus while we lived in the barn. Now, we have this new beautiful property. A fresh canvas to plant. We, this year, continue the tradition. Holiday tree #1 for the new barn. As we take, we try to give back to the earth. That’s the Christmas spirit that I wish to instill in my little girl. That’s the sort of “tradition” I want to pass on. Happy winter from the barn! It occurred to me that in all the busy-ness of barn life-leaving one barn, working in another barn and moving into a final BARN (home at last)-I failed to honor an official good-bye to the “barn”. While it has been months, it feels raw still. The barn that changed so much in my life in such positive ways. That barn that has made this NEW barn life possible. I am a woman I never imagined I would be. I am a cowgirl in every sense of the word. 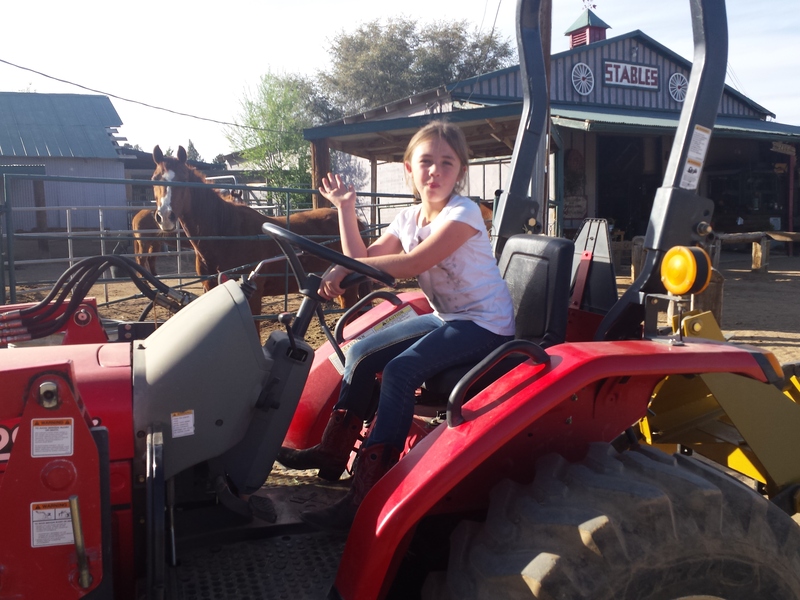 My daughter can say she was literally “raised in a barn” and know that means a hell of a lot. She is strong, she is amazing, she is courageous. She is more COWGIRL at nine years old now, than most would ever (never) understand how to be in a lifetime or even what the term means. It is FAR beyond cute boots and pigtails. THAT she has learned in this barn. I am grateful for all we, both, have learned there. THANK YOU. THANK YOU. And good-bye. What memories. “Cowgirl up” as the head honcho here would say. I will forever live by the lifestyle I have learned here. No matter how hard, how tough, how raw. Nothing can break a cowgirl.